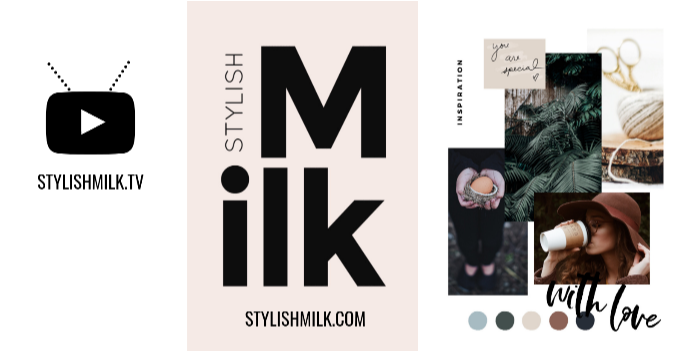 Sign up to be a Stylish Milk Insider aka Email Friend and AUTOMATICALLY have your name thrown in the ring for ALL the upcoming giveaways. If you are a an up and coming content creator, looking to work with AMAZING brands or simply design the BEST online presence, you simply cannot go wrong. If you're a mama or papa looking for incredible brands to include into your lifestyle, SM has your back! We email you ONCE a week, with an occasional MUST HAVE info based message. And we will never spam you with junk! +++ In order to qualify for a giveaway entry (hosted monthly), you have to be subscribed and simply OPEN our emails every week. That's it, friend!